Well, the last few weeks went by really quickly. Welp. I kept meaning to blog…but also kept putting it off. In the middle of July I finished work at OPP and transferred to the New Haven Education project. The folks at OPP sent Jacqui and me off right. They even framed our end of service certificates and letters from President Obama for us in really classy frames. I definitely miss all of my OPP coworkers, especially the ones I shared an office with. I don’t think I went a day with out laughing. 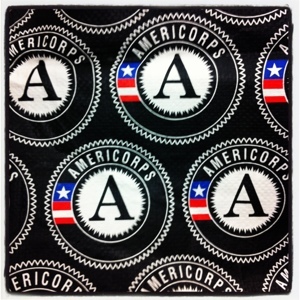 My year of service with OPP had its ups and downs, and leaving early was definitely bittersweet, but now I can look back with my first AmeriCorps year with pride. When I transferred to New Haven Education, I hadn’t yet finished a full year of service. To be a VISTA Leader, you need to have successfully completed a full service year. As a result, I worked as a Leader Apprentice of sorts, working on planning out my Leader year. In addition to my Leader duties, I’m handling some of the communications duties for the project. I also got to visit all of our sites and meet the group of VISTAs. We definitely have a great group for this next year! Then came my birthday. Unfortunately, I had to work, but my coworkers bought me a plant for my desk and threw me a little birthday bash. My supervisor also brought me flowers! My friends also treated me right with a surprise birthday, featuring more flowers, cake, and copious amounts of alcohol. Basically, I’m stocked for the next year. My good friend Carrie also came home from England! I was so excited to see her after 8 long months. I hadn’t seen her since New Year’s! Carrie will also be serving as an Episcopalian Service Corps member in New Haven! I love just knowing that Carrie is back in Connecticut. Basically, seeing Carrie was my favorite birthday present! I spent the last couple weeks watching the Olympics nonstop (I am in love with Nathan Adrian and Ryan Lochte. And also obsessed with the McKayla Maroney is not impressed meme, but I digress). I also officially started my second term of service as a VISTA Leader last Monday. I ran my first on site orientation for three incoming VISTAs and I think it went pretty well! I have also developed a falafel addiction. If you’re ever in New Haven, stop by Mamoun’s on Howe Street. The falafel is to die for. It’s also really cheap. And open to 3:00am. You seriously will not regret it. TL:DR Life is good and I’m so excited for this next year of service! I’m so proud of all of my friends and how you’re all changing the world!